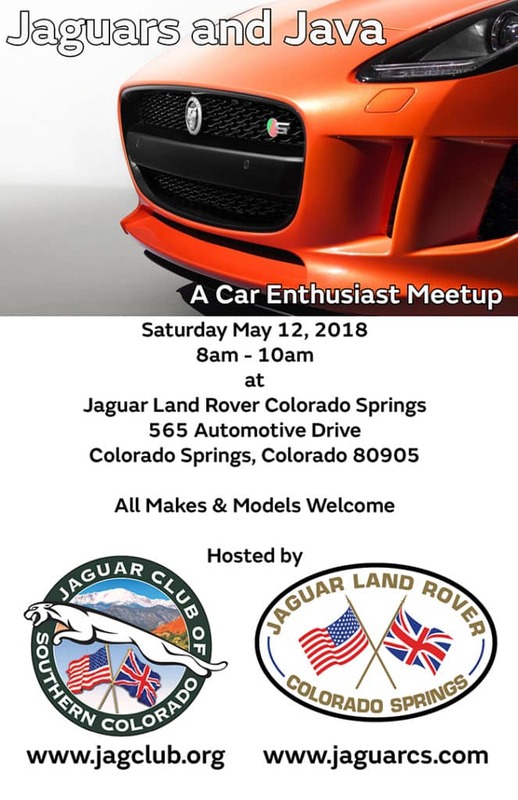 Car enthusiasts, mark your calendars for the Jaguars and Java event this weekend at Jaguar Colorado Springs! Join us on Saturday, May 12 from 8 am – 10 am at 565 Automotive Drive, Colorado Springs. All makes and models are welcome at this event! Make sure to tell your car loving friends so they can join us too! This event is hosted by Jaguar Club of Southern Colorado and Jaguar Colorado Springs. See you Saturday!